To be more accurate, these are things I either rarely or never buy anymore. Either they are things we don’t use, don’t see the need for, or most likely make or do ourselves. In an effort to be frugal, I think each person or family needs to ask themselves this question–Is it worth it? That is, is making this/doing this ourselves worth it? So, here’s our list of what is worth it to us personally. Yours may be much different than ours, and that’s okay. 1. Laundry Detergent. Yes, I’m sure you’ve seen these “Make Your Own Laundry Detergent” posts all over the blogs (including on mine). Perhaps you’ve wondered whether or not it’s worth the effort. For us it has been. I haven’t purchased laundry detergent in almost 2 years and don’t plan to anytime in the future. The first time you make it it’s a little more to put out initially, but then you have 2 of the 3 key ingredients on hand for the next several batches. 2. Jelly. 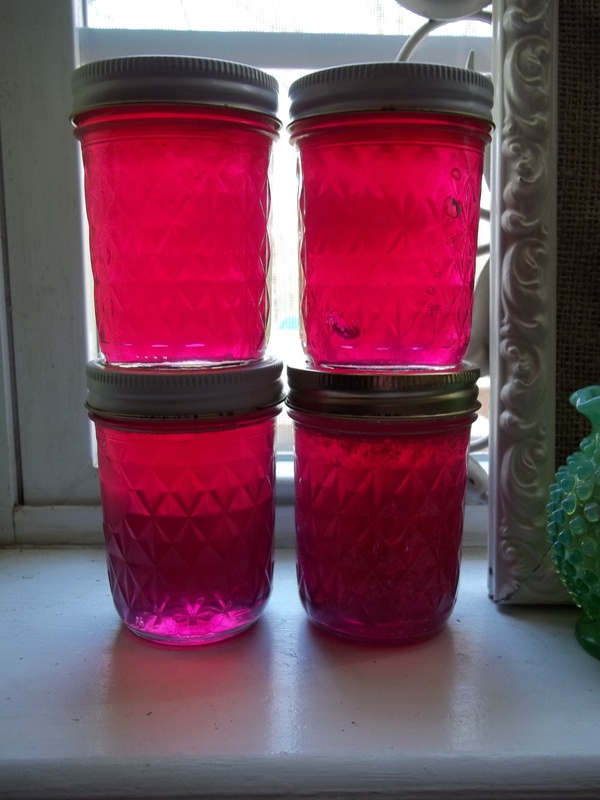 I have been making my own jams and jellies ever since I’ve gotten married and have never really had to buy any. As my kids get bigger, we go through lots of jars and I’m continually thankful for the stash I have on hand. 3. Cans of Soup. Nope, I very rarely buy cans of soup. First of all, unless you get a really good deal on them, they can be expensive. Secondly, I’m not the biggest health nut out there, but they’re usually full of sodium and other ingredients I’m not too keen on. I happen to like making soups and make huge batches that I can freeze part of to use on a busy night or to give away. 4. Gym memberships. I’ve never paid for one of these and probably don’t plan to. I happen to walk the beautiful roads all around where we live and have some DVD’s and basic fitness equipment here at home. If I don’t utilize them, it’s my own fault! 5. Bread. This one’s a toss-up. 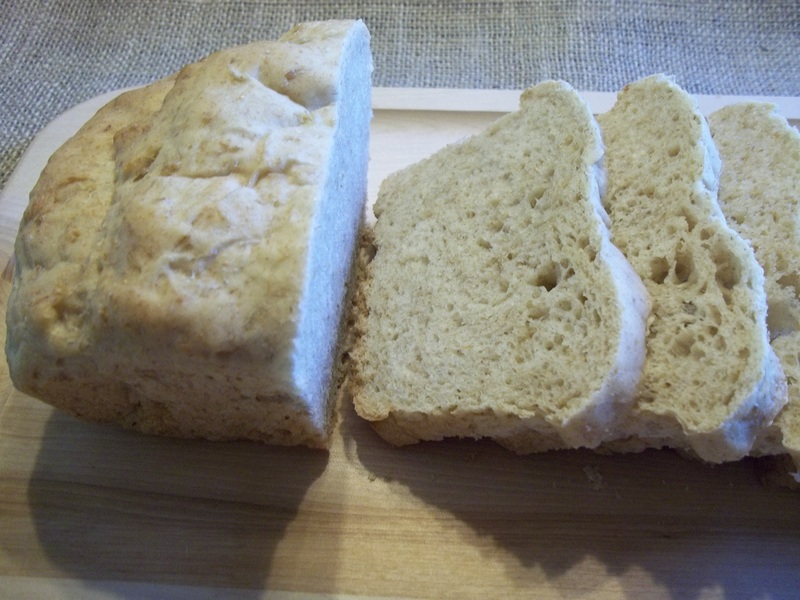 A few months ago I found a wonderful bread recipe that we love. It makes 5-6 loaves at a time, so I can freeze the extras until we need them. I was making bread every week and had a good stash built up. However, I have been finding it at a local bent-and-dent store for 99 cents a loaf, so I do buy a few of those now and then. 6. Tomato products. Another thing that we have canned ourselves for many years. We make tomato sauce, juice, whole tomatoes, stewed tomatoes, salsa, and so on. It usually consumes a day out of our summer working as a family. However, when I go down to my basement shelves and see those rows of mason jars lined up, it’s worth it! As a bonus, we know exactly what’s in it and what’s not. 7. Brand new clothing. With the exception of socks and underwear, most of what we buy and wear is secondhand. My version of splurging on new clothing is usually something found on the clearance racks or marked down significantly. You can find such great stuff at thrift stores, Goodwill, and the like. It’s like going on a treasure hunt! I have found many things that even still have the tags hanging on them and are very much current. 8. Latest Tech Gadgets. I’m not a very technical person to begin with and neither is my husband. However, I really don’t feel the need to keep up with the Jones’ on all these things. The only thing I’ve bought in this realm is a Kindle (which I surprisingly love!). We have a very small TV, very basic cell phones, no video game systems, no I pods, or anything else besides our computer. I mean there are hundreds of free games available like the Happy Wheels unblocked game, why would I pay for games! And no, we don’t feel a bit deprived. 9. Canned Fruit and Applesauce. This one goes right along with #2 and #6. Every once in a while I will buy the little lunch packs of fruit for convenience. Otherwise we use up what’s in our stash of canned goodies. For applesauce, I have canned some and frozen some. We do a good bit of frozen veggies as well. 10. Haircuts. Granted, this is more of a service you pay for. However, out of the 7 people in our family, mine is the only head of hair that we pay to get cut. My husband cuts his and the boys’ hair with clippers and I usually do my daughter’s hair periodically. Mine I get cut every couple of months, but that’s it. I happen to like my natural color most of the time, so until I find even more grays in there (they are sneaking in! ), I am not paying to have it colored. Great ideas. I only pay for haircuts for myself also. And I LOVE my homemade laundry soap. We need to get our garden and our trees producing more before I will be able to put up as much of our own food as I’d like to. However, I need my gym membership. I love exercising outside too and I try to do that twice a week. But I’m a wimp when it comes to rain or cold weather. I would love for you to share the recipes you use for the jam, jelly (I saw the violet one), bread, applesause, canned fruit, and tomato products. I currently can tomato juice but am interested in salsa, tomato sauce and stewed tomatoes. Thanks. I go further than soup – unless I’m in a bind, I don’t buy stock or broth. I make my own and pressure can it in big batches. Usually the jars will last about a year, in time to do more. Once in a while, if I’ve run out and I don’t have time to make, I will buy from a butcher in North Market, rather than the store. Great ideas, thanks for sharing. Would love to have that bread recipe, if you care to share. Thank you. Great ideas. For the 1st X in my life I’m growing long hair (62) & letting it stay a natural grey color.Sooo tired of all the hassle with coloring,cutting & not long ago,getting it permed. Now,I only worry about keeping it nice & clean,No blow drying even…healthier than its ever been…& saving lots of cash.Due to my age,it’s usually in an updo,so cool in the hot summer! 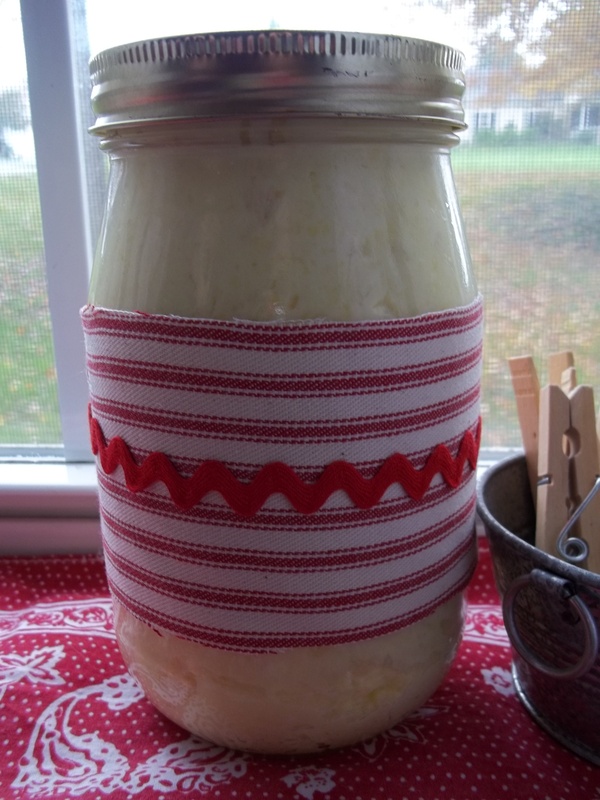 Would love the bread recipe, also & Diana’s “how to” make a yr’s supply of broth for canning. Thanks again for sharing. Totally agree — thanks for one new item for me to ponder: laundry detergent — I’ll think about it. Have to be careful to use hyperallergenic/unscented products and I generally buy a really cheap liquid laundry soap for half the name brand prices.. Regarding soups; I also never buy any prepared dinner mixes — given that I always have basic foods on hand and can whip up a healthy “burger helper” casserole so fast from scratch, and in family-size quantities, that to purchase those dinky but colorful boxes seems absolutely wasteful. Love this post, I pinned it. I am striving each day to make more homemade items, thus being green, healthier and spend less money in the process. Thanks for sharing your tips. I love these ideas! I make my own bread and do a lot of cooking from scratch myself.